When it’s time to rent a storage unit for your belongings, a moving truck, moving pads, and furniture dolly will help you get your possessions there safely. People often make the mistake of selecting a truck that’s too small. As a general rule of thumb, you should choose a truck that’s a size larger than you think you’ll need. Otherwise, you may find yourself having to unload the truck to get a larger one, make multiple trips, or leave some of your possessions behind. The amount of space in a moving truck is expressed in cubic feet. It’s tricky to estimate exactly which size truck you’ll need, unless you love math and enjoy calculating the volume of your furniture. Professional movers usually make estimates by the number of rooms. 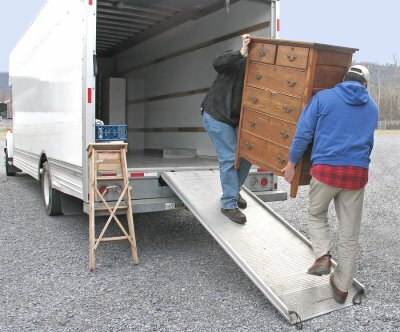 About three rooms of furniture can fit into a truck with 20 cubic feet of space. POUCH Self Storage is pleased to offer free moving trucks and their accompanying drivers to help our customers in San Juan Capistrano move belongings to storage units. Call (800) 378-4598 or explore our website to check out our storage units in advance.